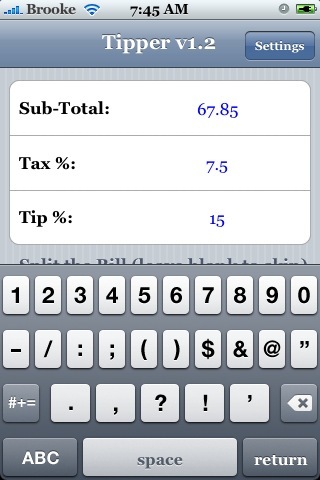 The update to Tipper changes the application so that all the fields are customizable. 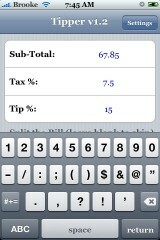 You can now enter any number into the Sub-Total, Tax %, Tip % and # of People fields, instead of having to choose from a range of numbers. 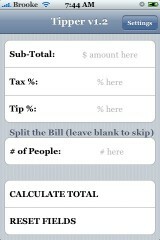 There is also a new Settings options. 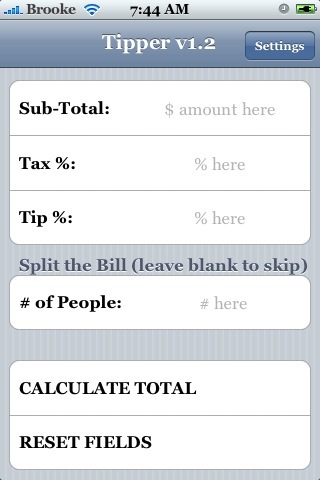 In the Settings, you can set a default Tax and Top percentage. You also have the ability to email the developer. I think if you enter a number into the default percentage fields in the Settings menu, they are supposed to default to those numbers every time you open the application. However, this did not work for me, they just went back to a blank field. 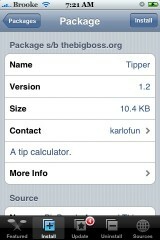 Tipper is avilable through the BigBoss source.